Clayton Kershaw’s quest to atone for some of his troubles in the postseason got off to a strong start Friday night at Dodger Stadium in Game 1 of the National League Division Series against the New York Mets. While the Mets managed to have one baserunner in each of the first three innings, Kershaw kept them off the board; in large part due to collecting two strikeouts in each inning. Jacob deGrom meanwhile stymied the Dodgers with one high-90s fastball after another. 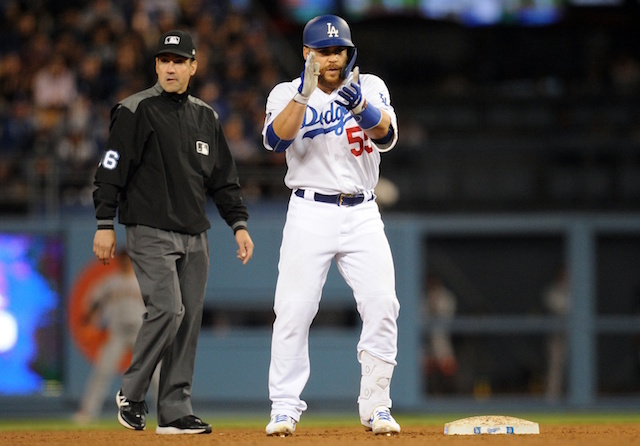 Los Angeles caught some luck in second, when Michael Cuddyer misplayed a Justin Turner line drive, and it resulted in a leadoff double. deGrom went on to strikeout Andre Ethier and A.J. Ellis before intentionally walking Joc Pederson. The Mets’ right-hander then got Kershaw swinging to strikeout the side. Cuddyer had more trouble in the third inning, as he was unable to track down a fly ball that appeared to be headed for foul territory, only to drop just fair. Corey Seager’s ground-rule double was followed by Adrian Gonzalez striking out for a second time, and the game remained locked in a scoreless tie. Daniel Murhphy took plenty of air out of the stadium with a leadoff solo home run in the fourth that reached the back of the Mets’ bullpen and gave New York a 1-0 lead. 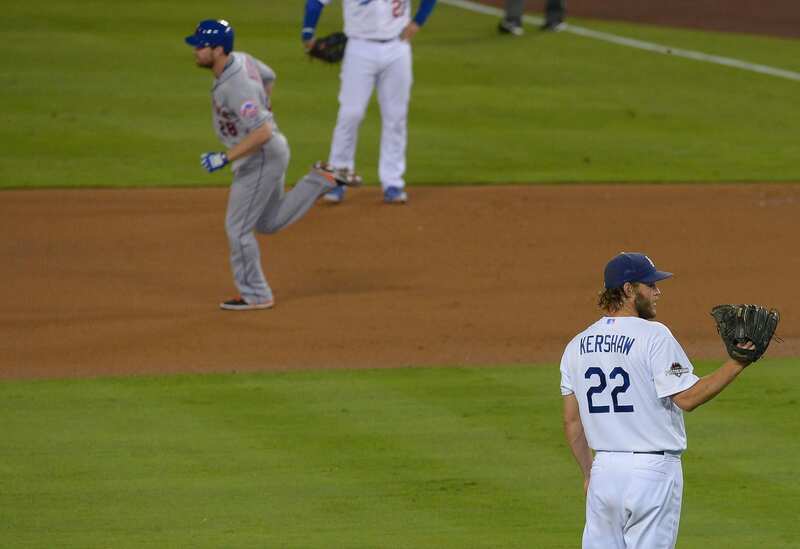 Kershaw responded by striking out two of the next three batters faced. The Dodgers appeared to generate some momentum in the bottom of the fourth behind base hits from Turner and A.J. Ellis to put two on with one out. 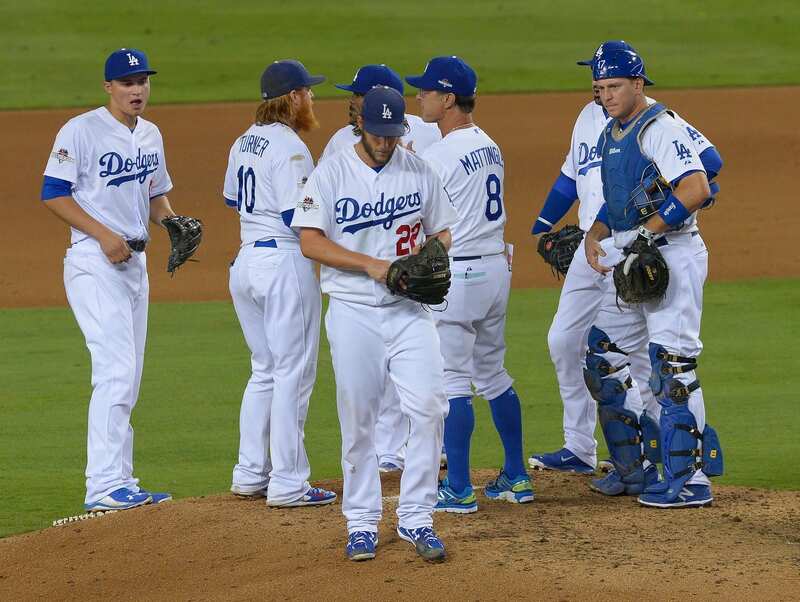 Kershaw stepped to the plate with both runners still on, and battled back from being down 0-2 to work a full count. He nearly delivered, but his fly ball was caught at the warning track in left-center field by Yoenis Cespedes to end the inning. With the Dodgers still trailing 1-0 in the seventh, Kershaw walked three batters in the inning to load the bases with two outs. 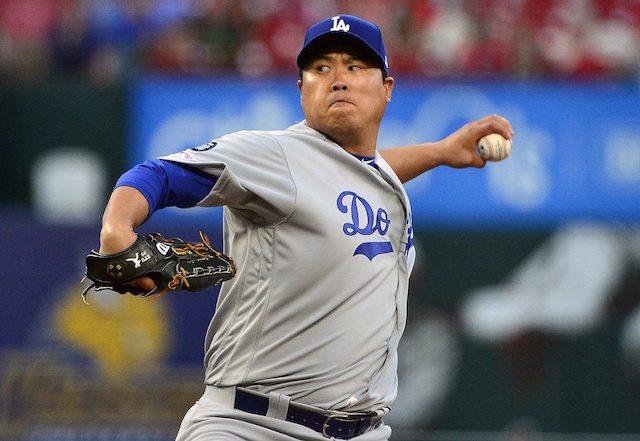 At 113 pitches on the night, he gave way to Pedro Baez. Wright lined a two-run base hit up the middle, extending the Mets’ lead to 3-0 before Baez managed to get out of the inning. deGrom shut the Dodgers down in the seventh, collecting two more strikeouts in the process to run his total to 13 in the game. Kendrick hit a one-out double to the left-center field gap off Mets reliever Tyler Clippard, and scored on Gonzalez’s two-out RBI single. With the base hit, Gonzalez was 1-for-4 with three strikeouts to that point. Jeurys Familia was called on to get the final out of the inning, and he did so by inducing Turner into a soft lineout. Familia completed the four-out save by retiring the Dodgers in order in the ninth, to wrap up the Mets’ 3-1 win in Game 1 of the NLDS.